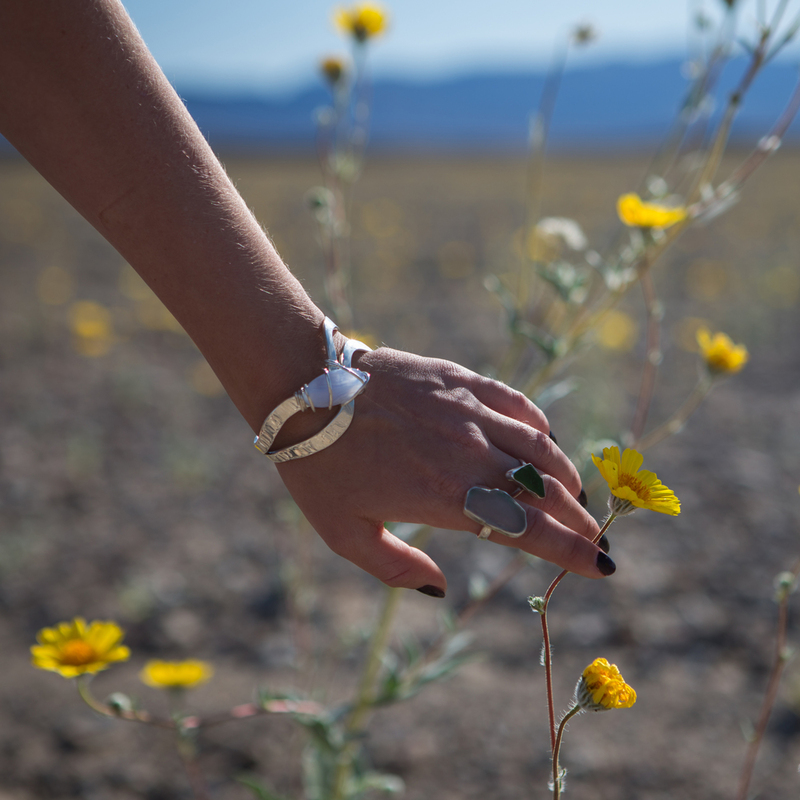 The superbloom in Death Valley was surely *super* and so was that matching silk silhouette by Few Moda. Flowers coated the valley everywhere you looked - it was so beautiful! I collected a few of the wildflowers to take home with me, because I have a sketch book at home that is full of pressed and dried flowers. This was the perfect opportunity to add a little Death Valley magic in there! Those sea glass rings are a new favorite addition to my jewelry collection, and I just loved the way they paired with the yellow flowers. Springtime is the best time to be in Death Valley - the vibrant flowers, perfect temperature, nice breeze, on top of the amazing-ness that is Death valley, is hard to beat!